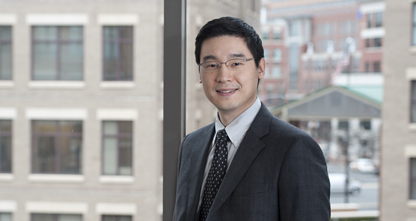 Jaehoon Kim concentrates his practice on the preparation and prosecution of patent applications in the technological fields of display devices, medical devices, fuel cell batteries, semiconductor devices, nanotechnologies, and optical devices for foreign clients, including major Korean companies. He has considerable experience in preparing and prosecuting utility and design patent applications in the electrical and mechanical arts. He also has extensive experience conducting personal interviews with examiners at the U.S. Patent and Trademark Office concerning patent applications.